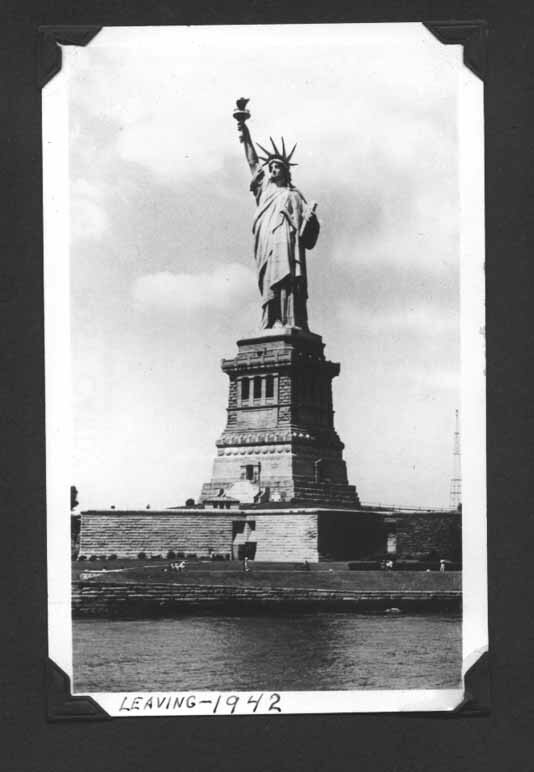 This photo was taken from the English ship The Queen Mary which was used as a troop transport ship during the war. The troops were welcomed by the Mayor when they arrived in Glass Glow on the Queen Mary. 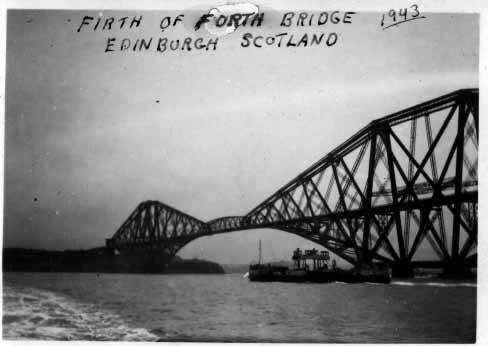 The bridge shown here is a train bridge over Firth of Forth, Edinborgh. Some others had been returning from station in India. Questions or Comments? Please email me. If you wish to email my father, simply email me and I will pass it on to him.